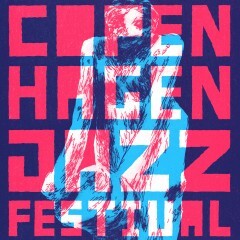 This year’s Copenhagen Jazz Festival will provide several opportunities of hearing the Søren Gemmer Quartet, the Gemmer-Estola Quartet and a special one-time only group with Kresten Osgood, Mads La Cour & Richard Andersson – as well as the other groups SG is working with. The Søren Gemmer Quartet will be playing new material to be recorded later this year, offering a higher degree of experimentation with harmony, form and polyphony. The group is playing at three venues this year; at LiteraturHaus, KvarterHuset and MellemRummet. The LiteraturHaus concert on July 8th is part of a mini-festival with two other interesting groups, Jakob Davidsen’s ‘Kammerat Orkester’ and Jeppe Zeeberg’s ‘The Forgetful Trio’. KvarterHuset has invited the group back for Friday the 11th, and once again the Søren Gemmer Quartet will uphold the tradition of playing on the last day of the festival at the lovely venue for modern jazz in Nørrebro; MellemRummet. When jazzclub MS Congo offered Gemmer the opportunity to gather a ‘dream quartet’ the pianist and composer got in touch with legendary Danish drummer Kresten Osgood. Until then, the two had only met on the Copenhagen jam sessions, including a now legendary encounter at the CPH Jazz Festival 2013 at La Fontaine where soul icon Macy Gray provided the vocals. Longtime member of the Danish Radio Big Band, trumpet player Mads La Cour, and bass player extraordinaire Richard Andersson, completes the group. The group will solely perform compositions by the group leader – composed for this occasion. The Gemmer-Estola Quartet with Aske Drasbæk, Morten Haxholm and Finnish drummer Olli Estola is once again operational and will present new material at MellemRummet and Studenterhuset. Sideman apperances with modern jazz group Reverse, Terkel Nørgaard/Jakob Dinesen/Tomas Raae, Nikolaj/Tobias Dall Mikkelsen and the Asger Laust Quartet complete yet another busy CPH Jazz Festival schedule.